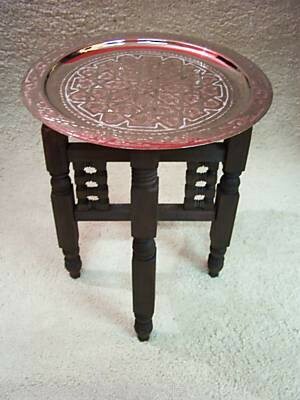 Tea tray made ​​of brass, with a noble wooden frame of cedar. 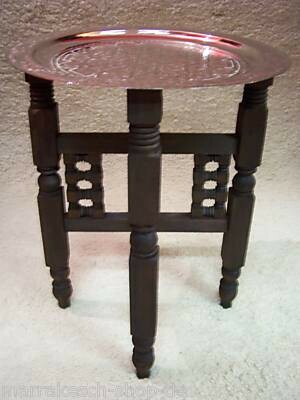 Place an assortment of drinks or a selection of teas on this table for your parties and brunches. 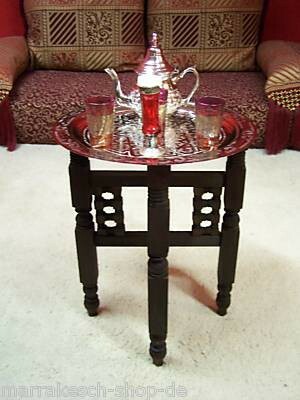 You can serve your tea with style, in an Oriental way because we offer you an original, traditional Moroccan tea table. 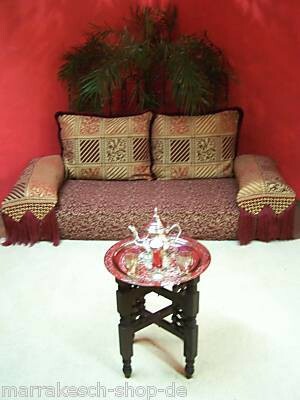 A must-have for all fans of tea and the Orient. 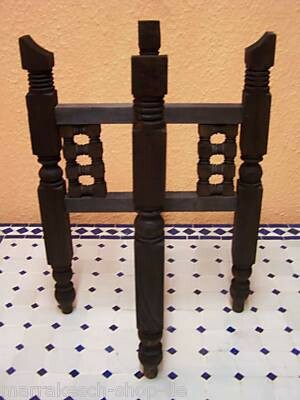 Of course, the production is pure handwork.